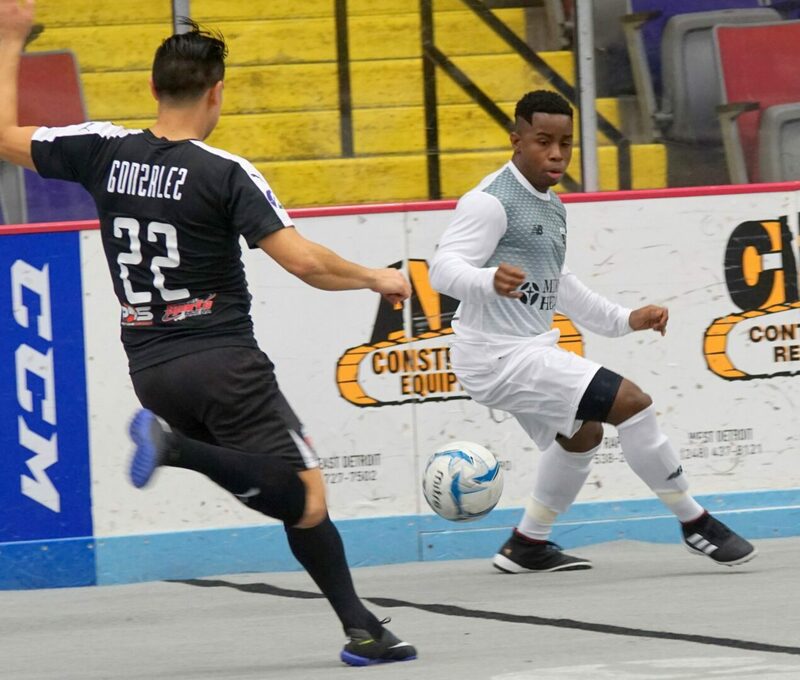 MUSKEGON – The Muskegon Risers indoor soccer team continue to show steady improvement early in the season – but still has a long way to go. In their home opener at L.C. 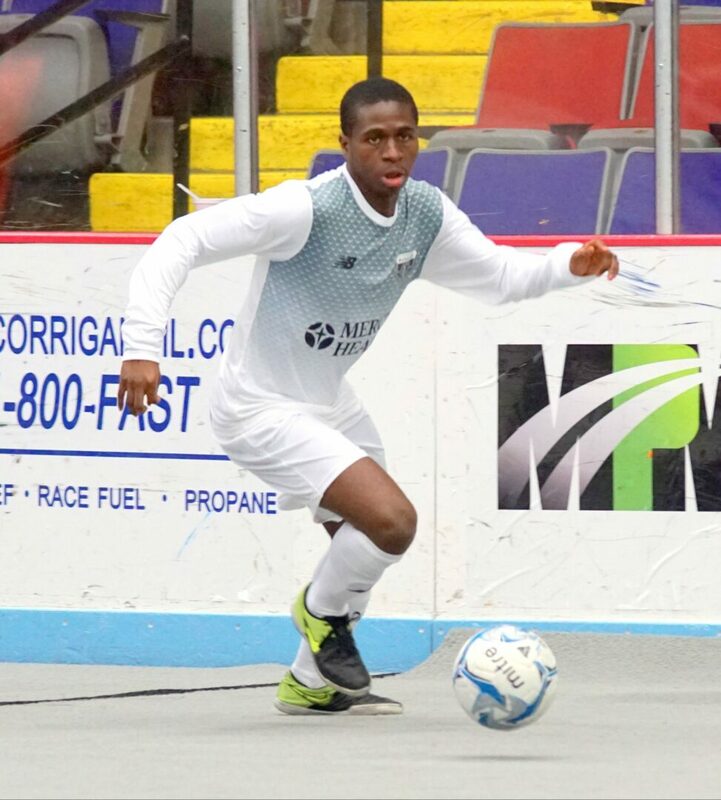 Walker Arena on Friday night, the Risers went into halftime tied with Chicago 2-2, but struggled after the break and fell to the Mustangs, 13-5, in Major Arena Soccer League action. It was a slight improvement from a previous game in December, when the Risers went to Chicago and came home with a 15-4 loss. 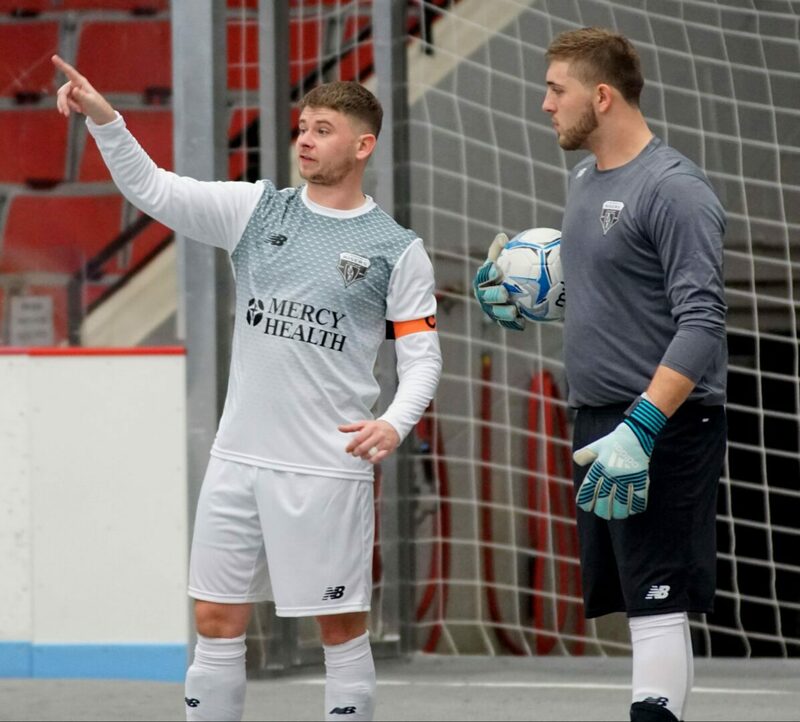 The Risers will host Detroit on Saturday night at 7 p.m.
“I was really happy with our first half, we were very patient and played strong on defense,” said Risers coach Ben Ritsema, whose team joined the highly competitive Major Arena Soccer League 2 this season. “That’s not the most exciting way to play soccer, but with Chicago if you step to the ball and miss it, they are going to punish you. Chicago took a 1-0 lead after the first quarter, scoring a power-play goal with 6:40 left in the period. Muskegon bounced back in the second quarter, getting goals from Adam Clauss and Justice Sikkema to take a 2-1 lead with seven minutes left before halftime. The Mustangs evened the score at 2-2 heading to the break, before coming out for the third quarter on fire. Chicago scored a minute into the third, outshot Muskegon 9-2, and scored five total goals to take a 7-2 lead into the final quarter. 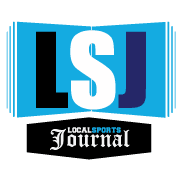 The two teams combined for nine goals in the fourth quarter, with Muskegon getting scores from Clauss, Paris Martins and Franco Calabrese. Chicago finished with a 30-20 shot advantage. Risers’ goalie Jay Toric finished with 19 saves and had an assist on a goal. 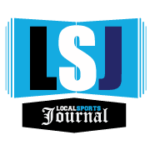 Stu Collins, Cody Loss and Ryan Wagenmaker also finished with assists for Muskegon, which fell to 0-3 on the season.